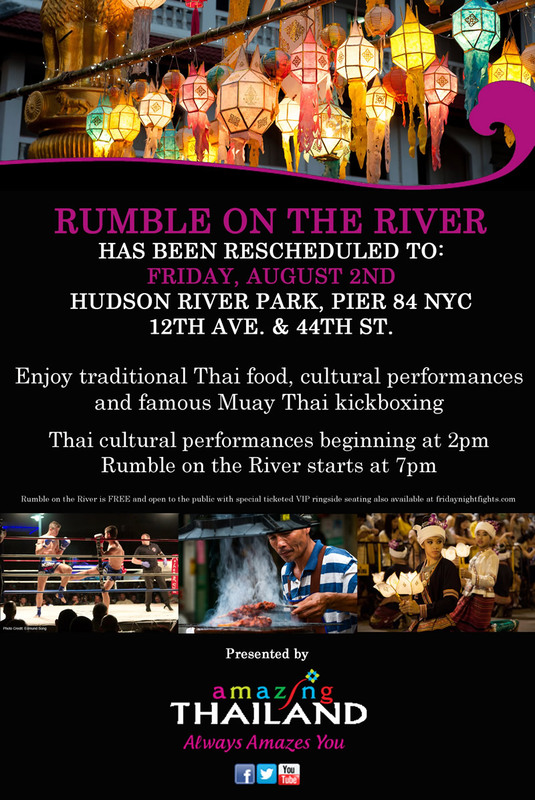 Enjoy traditional Thai food, Muay Thai boxing, and performances! Pier 84 Cross at W.44th St.
For more detail, please click here. This part follows my adventure in Krabi as mentioned in the previous post. I always call Chiangmai -Pra-ted Chiangmai (Country Chiangmai) as I have fallen in love with her charm since I was a little girl. I went to college there. I met my husband there. It is just simply the most romantic place one earth in my opinion. Thus, I think it’s about time that I write something nice about this place I call home. I chose to be in Chiangmai during Songkarn (Thai New Year) when I was back in Thailand this time. Seriously, where else in Thailand would you rather be, if not Chiangmai. We pretty much christened the whole festival. I stayed at Ob-oon Homestay this time and it didn’t disappoint me. 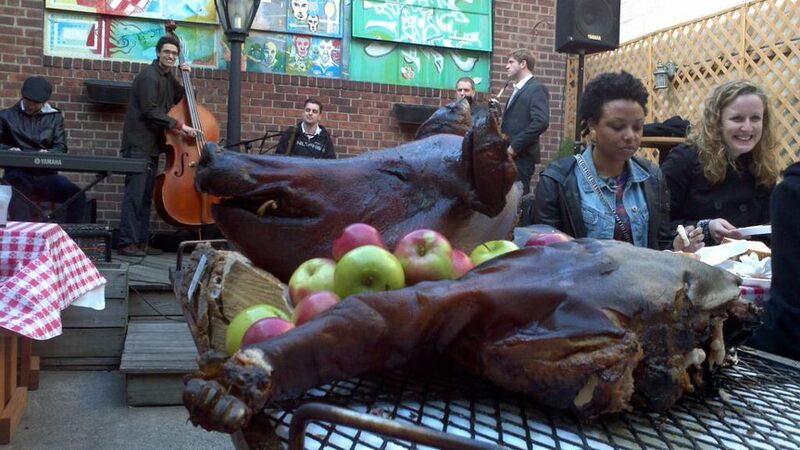 The place was artsy, unique, and warm as the name of the place suggests. The owners made my mom and I some rice porridge for breakfast (yes, after we went out for a walk and Goldilocks came in, get the joke?) and it was just right. 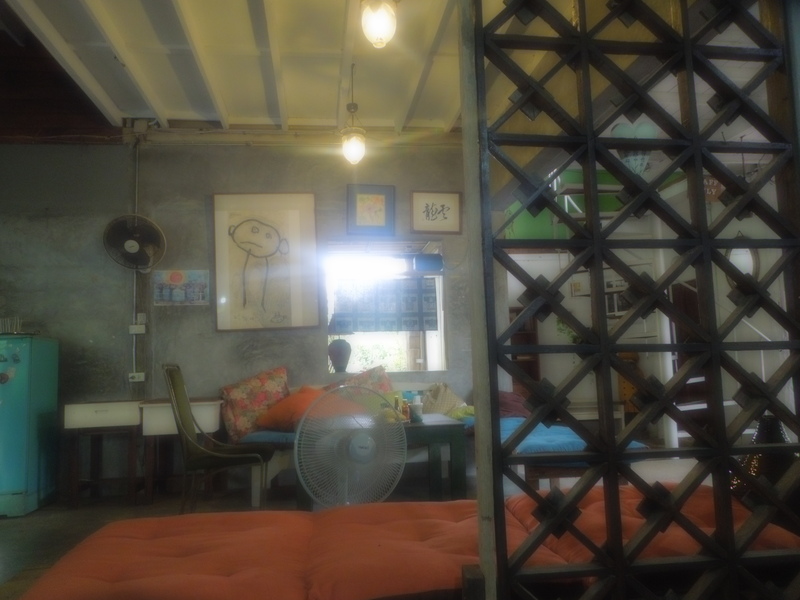 The place was featured in the Thai version of Architectural Digest, Baanlaesuan, so you know that it’s pretty. Just saying. Before I went to stay at Ob-oon, I also stayed at Nimman Resort. The place is extremely affordable (I paid 600 B/night on Agoda) and it was close to the hip and happening area in Chiangmai–Nimman Road or its complete name is Nimmanhaymin Road. There are gazillion of coffee shops in the area, so I guess walk around to your heart content. 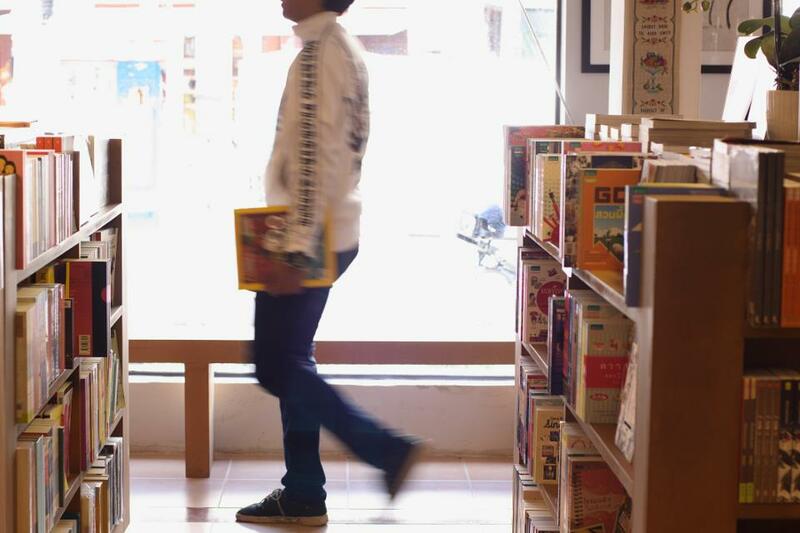 What I fall in love with is the two bookstores: The Booksmith and Totell bookstore. They are across the street from each other, so I recommend go to both places to get the taste of Thai literary circle. Yes, Thai people do have writing system and the language was invented in 1292. 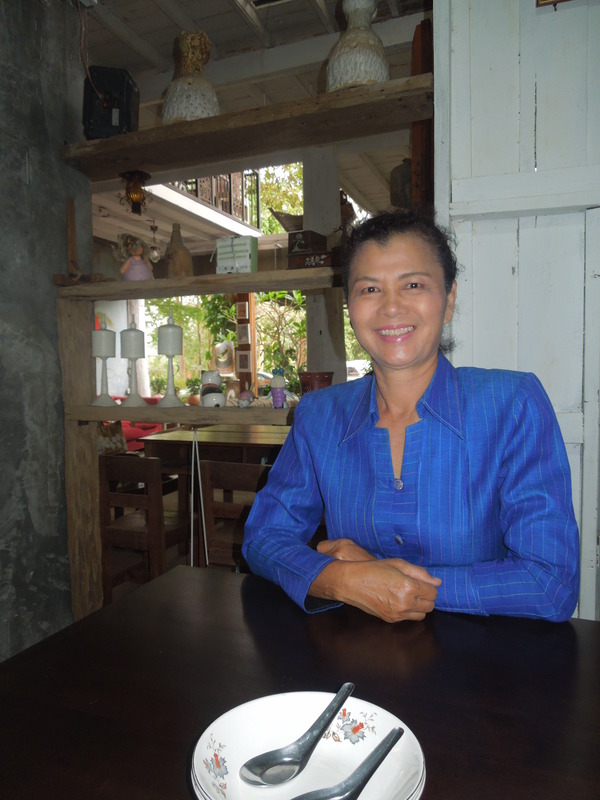 Having taught Thai to many foreigners for the past 8 years and having lived in the US for over 10 years, I do occasionally come across people who believe Thai people speak Chinese. Now one thing about Nimmanhaymin area, you need money to be there. I felt a bit like I was in New York when I was in the area. Perhaps, Nimman will be equivalent to Williamsburg, Brooklyn. 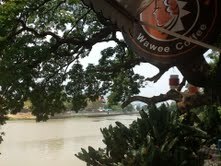 Another area that is worth visiting is next to the Ping river around Naowarat bridge. I will not bore you with the usual Riverside restaurant or Goodview pub. 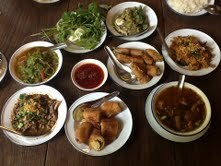 My friend took me to this place Ran Khang Rhong Nang (ร้านข้างโรงหนัง), which served this following mouth savoring dishes. If you don’t get the decor there, it’s a retro style. All the merchandises in the store were antique. I guess Chiangmai feels like home to me so I don’t feel like I took many pictures there. Anyway, my friend does, so here is a link to his pretty Chiangmai pictures. One area that I discovered (or rediscovered) this time is Trok Lao Joe (ตรอกเล้าโจ๊ว),which is in the Kao Luang or Warorot market area. The stores in this alley sell tribal textile products in wholesale price. In case Night Bazaar didn’t do you justice, ask to the locals for direction to this area. All in all, I HEART CHIANGMAI. I’m not giving you the estimate of my travel expense here. Keep in mind that Chiangmai does have the comfort of what Western culture has to offer, so you pay premium for it. Still, it’s still much cheaper than in Bangkok.